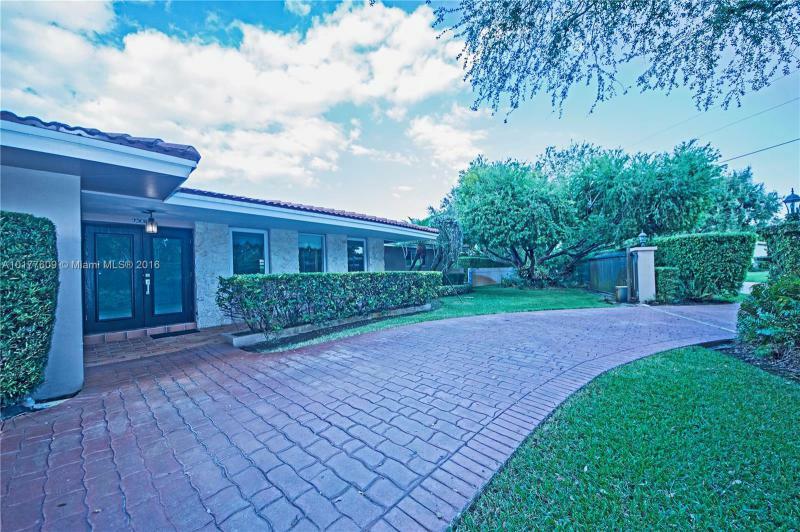 FABULOUS CUL-DE-SAC, MOVE-IN, MODEL PERFECT GEM IN PRESTIGIOUS GATED BAY POINTE SECTION OF WESTON HILLS COUNTRY CLUB! TOTALLY MAINTAINED NEIGHBORHOOD! FOYER ENTRY LEADS TO HIGH CEILINGS, HUGE LIVING/DINING/GREAT ROOM! WONDERFUL OPEN KITCHEN, SNACK BAR, PANTRY & BREAKFAST AREA! AWESOME MASTER SUITE, 2 HUGE WALK-IN CLOSETS! EXTRA LARGE PRIVATE YARD! TERRIFIC COVERED PATIO! MODERN MASTER BATH, CROWN MOLDING, BUILT-INS, ACCORDION SHUTTERS, ALL NEW APPLIANCES, NEW A/C & WATER HEATER! SHOW & SELL THIS WINNER! RAIN GUTTERS, PERGOLA PATIO, CLOSET: CUSTOM MADE CLOSET IN BEDROOM AND GARAGE. PORCELANATO EN EL 1ER PISO. ORGANIZADOR DE GARAGE. GABINETES ITALIANOS. ESCALERA Y HABITACIONES EN MADERA. Steps from Coral Reef Park and school on a gated private lush lot sits this 4 bedroom 3 bath North Palmetto Bay home waiting for a new family. Newly installed roof, impact windows, resurfaced pool, split bedroom plan, converted garage to recreation area with bar, large overhang, screened patio perfect for entertaining and enjoyment. Completely remodeled in desirable Shenandoah/Silver Bluff. Metal roof, Impact windows and French Doors. SS appliances, 100 bottle wine cooler, LED lighting. Bright spacious floor plan with open kitchen leading to side deck. Master bedroom opens up to rear deck and hot tub. Separate office/utility room in addition to three full bedrooms. Deep lot with very private backyard and small shed.